In the news, the CMS has extended the Stark law exception that permits hospitals to help fund EHR costs for physicians. Also, a survey shows most vendors are still in the ICD-10 product development phase, a newly introduced House Bill 3750 would provide assistance to states for telehealth policies, and ACO participation is on the rise. The Workgroup For Electronic Data Interchange (WEDI) conducted its most recent ICD-10 readiness survey. About one-fifth of vendors surveyed report they are halfway or less than halfway complete with ICD-10 product development. Only one-fourth report their product development is complete. About three-fifths of vendors are planning or have begun customer review and beta testing. U.S. Representatives Doris Matsui (D-CA) and Bill Johnson (R-OH) have introduced a bill that would provide assistance to states for the development of telehealth policies necessary for virtual healthcare. 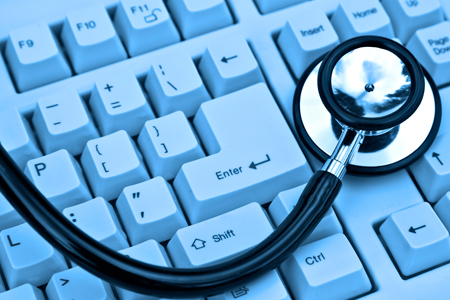 The Telehealth Modernization Act of 2013 (H.R. 3750) aims to establish patient-provider relationships through the use of telehealth, to provide medical histories of telehealth patients, to enable documentation of the evaluation, treatment, and telehealth encounter, to facilitate forwarding records to providers for continuity of care, and to provide prescription requirements. Accountable Care Organization (ACO) participation has almost quadrupled since the spring of 2012, according to the Premier study, “Accountable Care Organization and Population Health Management Trends.” Current participation is expected to double to 50 percent by the end of 2014. Large hospitals, non-rural, and hospitals in an integrated delivery network are more likely to make the move toward an ACO. Of the 115 C-Suite executives surveyed for the study, the majority are making investments in infrastructure needed to manage population health. They are also exploring new partnerships with large employers, external providers, health departments, and public and private partners.